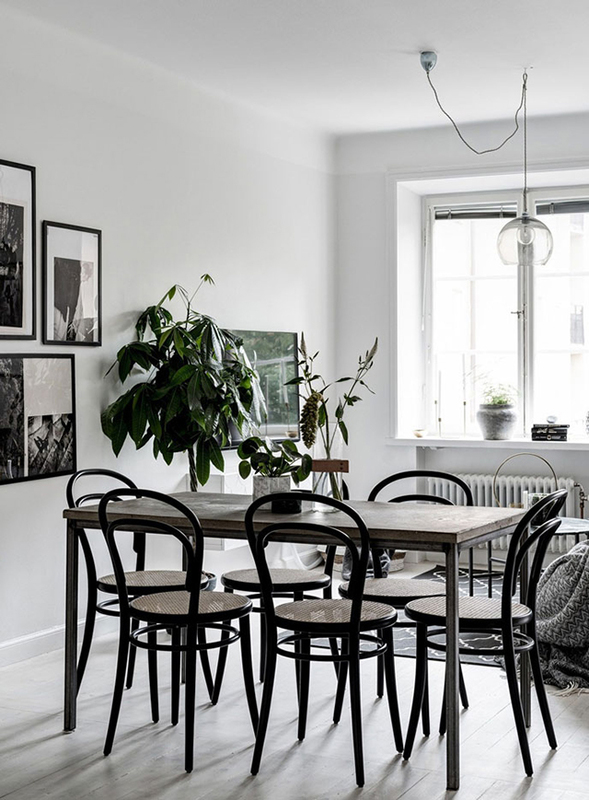 I may not be on the hunt for a home in Sweden, but I am always on the the hunt for interior styling inspiration and the real estate sites in this area of the world never disappoint. 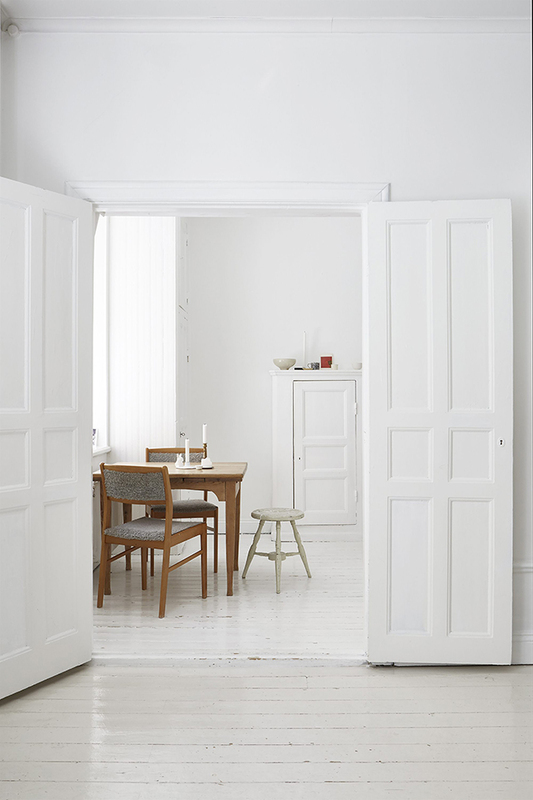 Many are historical homes which have been revived but still have their original features. This first one is a great example. 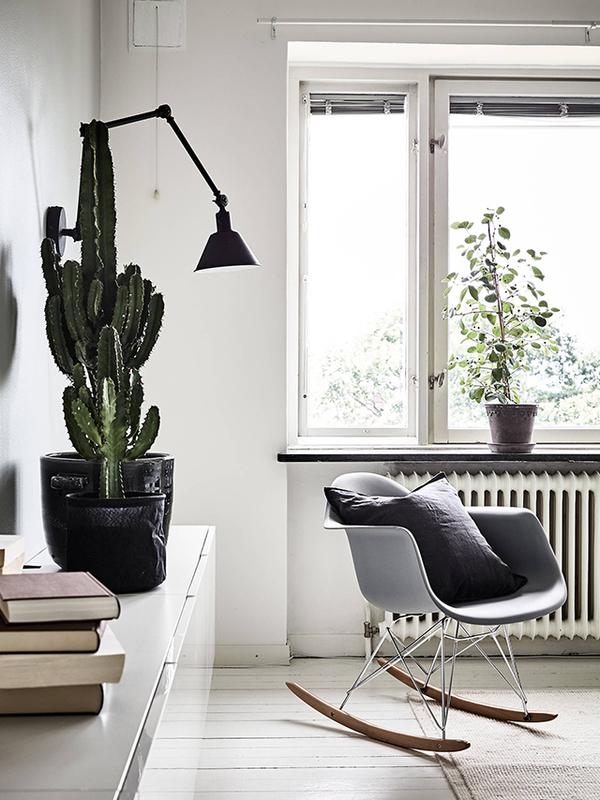 The dining room is spectacular and I love the light-filled reading nook. 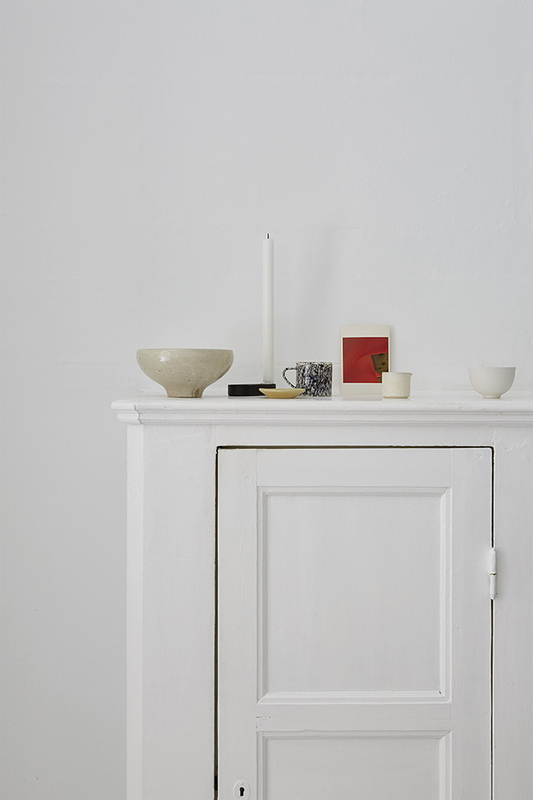 You'll find the links to the full house tours below each home. 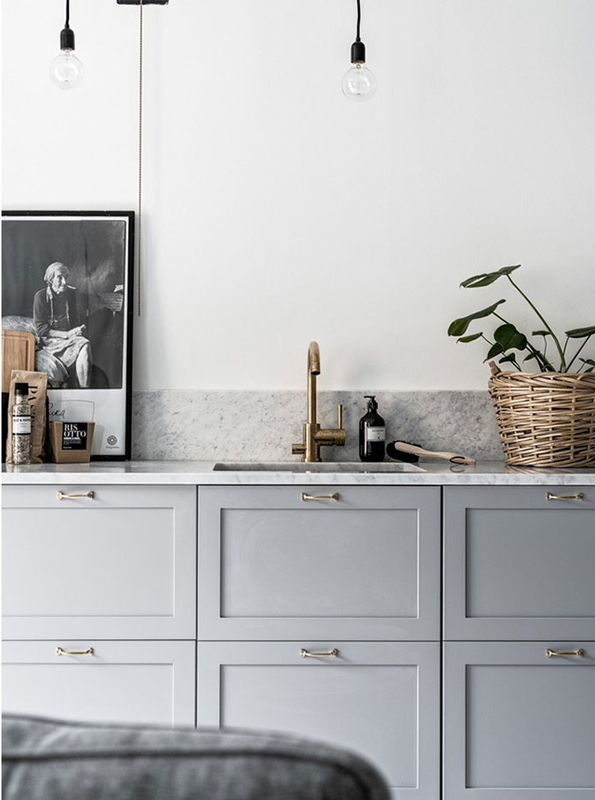 Grey cabinetry paired with marble surfaces and brass fittings is always a winning combo in the kitchen. 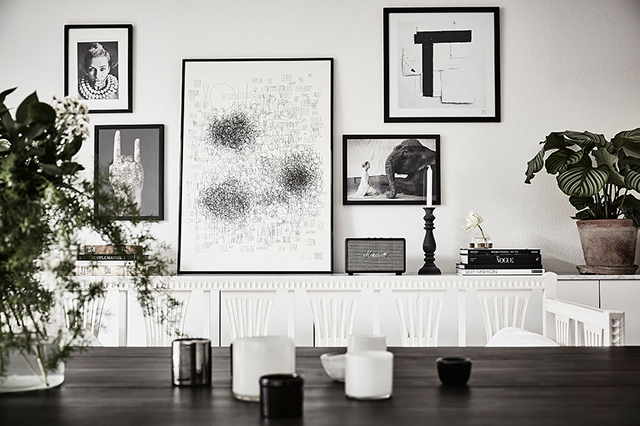 The art wall with black frames in this next dining area is also on point. 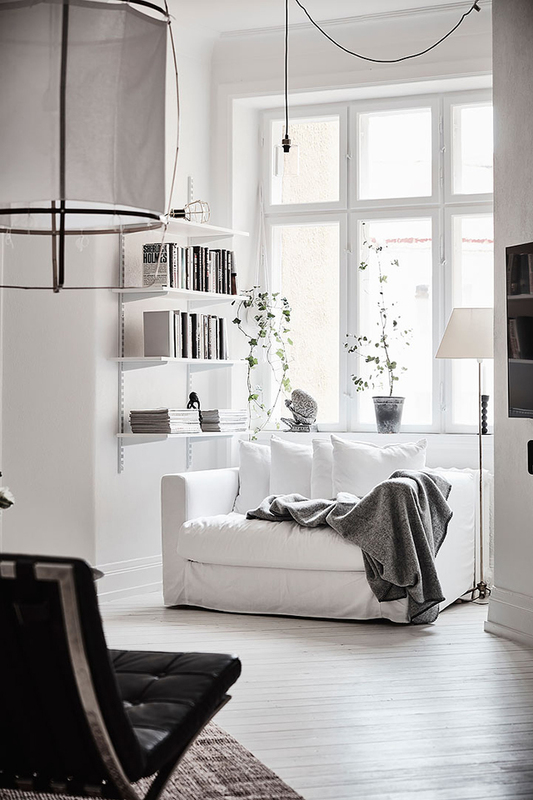 My heart sang when I saw this white home, especially the beautiful bedroom. 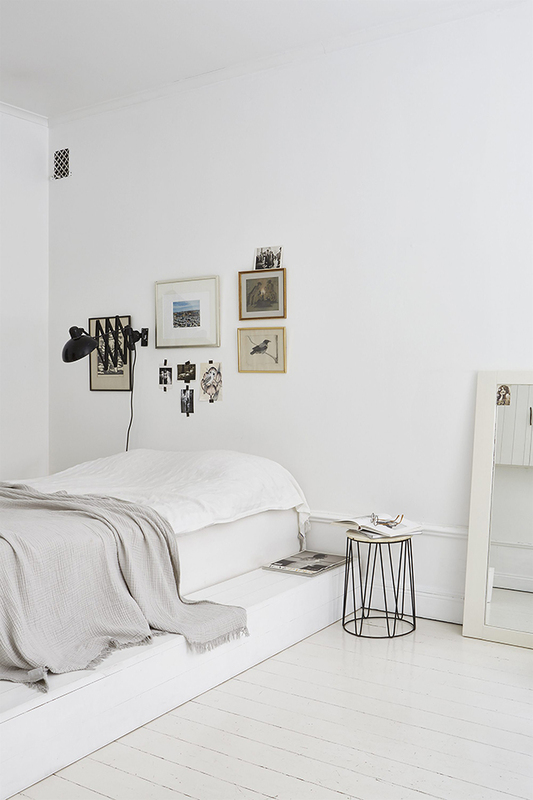 So clean and simple, I love the sweet little details and bedside shelf. It would make a lovely guest room don't you think? 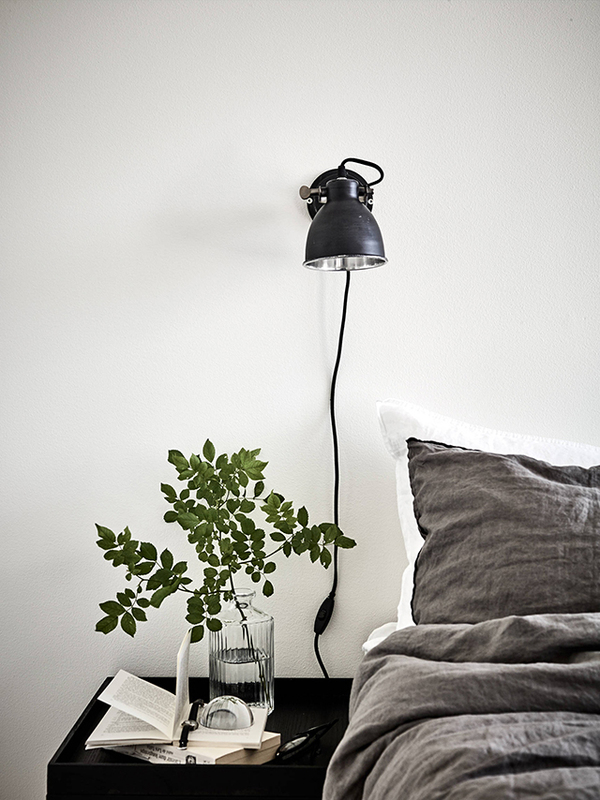 I clearly have a thing for moody monochrome palettes and green foliage. 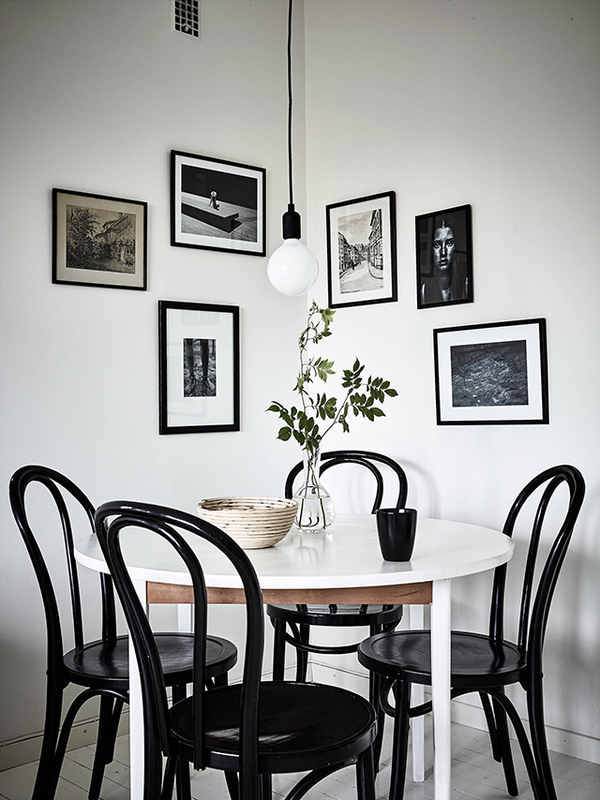 Thonet chairs are also a recurring theme today and I love the look of a round corner table surrounded by an irregular picture wall with a low hung pendant light.